We are team Mini Adventure consisting of two crazy kids Jade and James taking part in the 2018 Mongol Rally. This involves driving our beat up mini over 11000 miles to mongolia, all in aid of our chosen charities. - The British heart foundation. 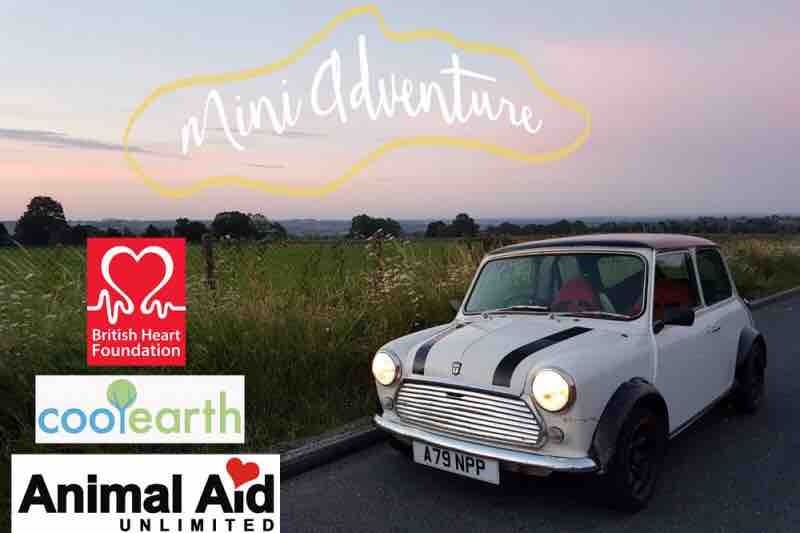 We will be funding the trip ourselves with help from our sponsors but as you can imagine driving all that way its almost certain we will run into a few problems, so any little help will be appreciated to keep the mini going! Donations will go towards our chosen charities and the upkeep of our mini/emergency repairs. Thank you in advance for all your donations and support! Follow our process on our Facebook page below!